As I work on my recovery, I learn so much from reading. This includes 12-Step program literature, scriptures, spiritually uplifting talks by Church leaders, books and other sources. I get new ideas, see things I may not have seen before and gain understanding. I learn new tips and techniques for dealing with temptation or stress. I find metaphors that help me make sense of my own strengths and shortcomings and the journey I am on. I learn about the program and about the recovery process. Nevertheless, most of this happens in my head, not my heart. Reading about it does not make it a part of me. We have long been counseled by our Church leaders to keep a journal. There are many different kinds of journal writing. Some people primarily record the events of their lives. Others share their deepest feelings, hopes and dreams. No matter what kind of writing you do, and whether you write in a journal or notebook or on a computer, I have found that writing accesses a different part of your brain than pondering or speaking. When I write, I explore how the things I am learning apply to me; to my life. When I write I find new understanding and practical application of what I have read or heard. I get ideas about how I want to implement these concepts and practices in my life. I make commitments to myself and to God about what I am willing to do today, and start conceptualizing what my life could look like in the future as I become willing to apply more and more of what I have learned. As I write I report on my progress; report both to myself and to the Lord. I look back at what I have written in the past and see proof of it. As I work to articulate my feelings and my observations I gain keener insight into them and synthesize new ideas I did not even have when I sat down to write. I am grateful for all that has been written by others; for the raw materials I find there. I am even more grateful for the ability and opportunity to write for myself and co-create the new me with God, starting with who I am today and using those raw materials to become more of what He has given me the potential to be. I read to learn. 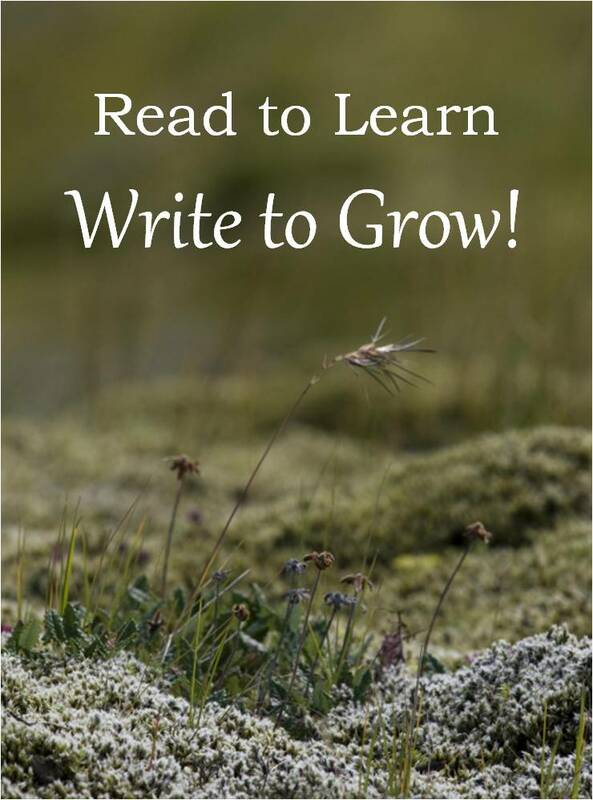 I write to grow. How do you use the tool of writing? How does/could writing help you to grow? What are you willing to do today to use writing to co-create the new you with God?